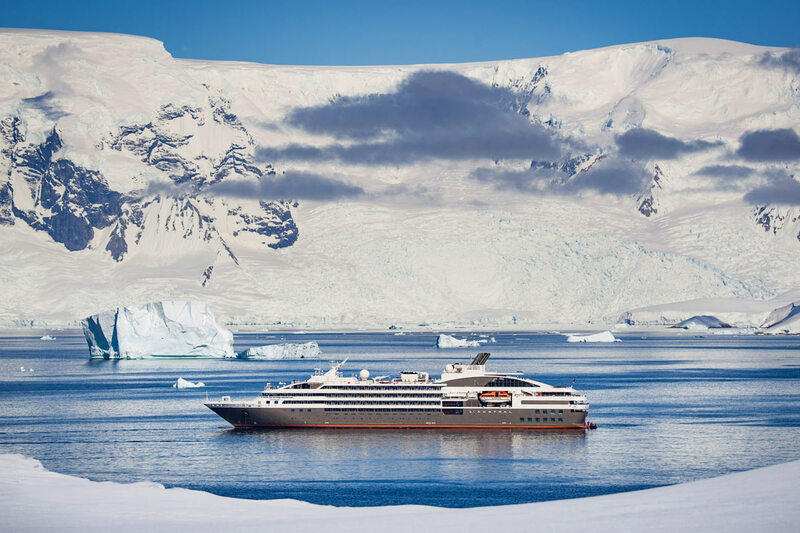 From sea to sea, or from continent to continent, PONANT welcomes you aboard its ships for a Sea Journey. A few times a year we invite sea lovers, dreamers, and keen observers of endless horizons to join our non-stop journeys, to enjoy the comfort of our ships for an extended period and share the daily lives of our crew. As the days go by, you can admire the waves from the upper deck, keep fit in the spa and make good use of the pool or the gym, share the daily life of the crew, discover sailing techniques and instruments, and enjoy a break from the hectic pace of life. Vessel Type: Luxury Length: 127 metres Passenger Capacity: 92 cabins Built: 2017/2018 Featuring innovative and environmentally-friendly equipment, elegantly designed cabins, spacious suites with large windows, and lounge areas that open onto the outside, this new limited-capacity yacht boasting just 92 cabins and suites will offer you a truly unique cruising experience. Aboard this ship that flies the French flag, you will experience the incomparable pleasure of an intimate cruise, with the possibility of exploring an ever-increasing range of destinations in an ethnic-chic ambiance with luxury service. Experience a luxurious setting where the accent is on authenticity and passion for travel. RESTAURANTS As it is an essential part of French culture, gastronomy will naturally have pride of place aboard this new ship. Through its two restaurants, Le Lapérouse will invite you on a journey to elegance and epicureanism. In a relaxed atmosphere, a first dining area located on Deck 3 and able to seat 70 will serve grilled meats daily, along with a variety of salads and desserts. To the back of Deck 4, you will find a 260 m² panoramic restaurant which can accommodate all of our passengers in a single sitting. Designed differently to that on our other ships, this dining area, which opens onto the outside, will have a buffet of salads, desserts and cheeses at your disposal. Our discreet and attentive crew will provide table service for hot meals. PUBLIC AREAS Like Le Boréal and its sisterships, Le Lapérouse has many common areas that are designed and equipped to meet all of your needs while preserving the intimacy of each passenger. A 140 m² reception area includes: A reception/concierge desk, An excursions desk, The ship’s administrative services, The sales office, manned by our Guest Relations Officer, Our 50 m² boutique which sells clothing, jewellery, beauty products, postcards and various accessories, Toilets accessible to passengers with reduced mobility. A new hydraulic platform with adjustable height provides: Easier boarding than on any other cruise ship, Easier Zodiac embarkation and disembarkation for expeditions, Easier access to the sea for swimming and practising various water sports such as kayaking or paddle-boarding. A pool deck offering: A pool with a panoramic view, equipped with a counter-current swimming system, A pleasant solarium, An outdoor bar and lounge with armchairs and sofas. A 200 m² main lounge which can accommodate all of our passengers to share convivial moments and to host activities organised during the day or evening. Lastly, a theatre that seats 188, equipped with: The latest sound and lighting technology, A LED wall as the stage backdrop, for the projection of high-resolution images and videos.